HCL Chief Executive C. Vijayakumar said in a statement that the deployment of IBM software products would provide it with an opportunity to serve thousands of global enterprises across industry verticals. 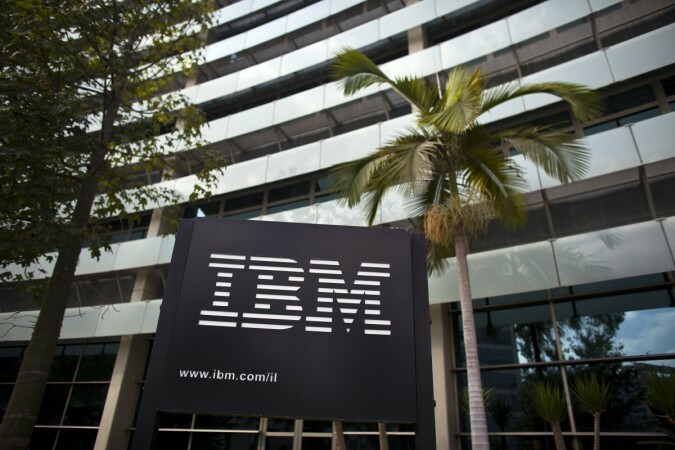 Indian software major HCL Technologies on Friday said it was acquiring IBM Software Products for $1.8 billion (Rs 12,700 crore) in an all-cash deal. "The transaction is expected to close by mid-2019, subject to completion of applicable regulatory reviews," said the Noida-based IT firm in a mandatory filing on the BSE. Software Products represent an addressable market of over $50 billion and include Appscan for secure application development, BigFix for secure device management, Unica for marketing automation, Commerce for omni-channel eCommerce, Portal for digital experience, Notes and Domino for e-mail and low-code rapid application development and Connections for workstream collaboration. Both firms have an ongoing IP (Intellectual Property) partnership for five of these products. "We see a huge opportunity to enhance our products and platforms' offerings. The products being acquired are in large growing market areas like security, marketing and commerce, which are strategic segments for us," added the filing. HCL Chief Executive C. Vijayakumar said in a statement that deployment of the IBM software products would provide the company the opportunity to serve thousands of global enterprises across industry verticals. "As many of these products are well regarded by clients and industry analysts, we see a good growth trajectory for them, as we are committed to invest in their innovation and further development," said Vijayakumar. HCL also sees huge potential for creating compelling "as-a-service" offerings by combining these products with its traditional services. "Over the last four years, we have been prioritising our investments to develop integrated capabilities in Artificial Intelligence (AI) for business, hybrid cloud, cyber-security, analytics, supply chain and blockchain, besides industry-specific platforms and solutions, including healthcare, industrial IoT and financial services," said the statement. Noting that the suite of products being acquired was in high-value segments, IBM Vice-President for Cognitive Solutions and Research John Kelly said the US-based behemoth believed the time was right to divest its software assets, as they were being delivered as stand-alone products. "We, however, believe these products are a strategic fit for HCL, which is well positioned to drive innovation and growth for their customers," added Kelly. The company's blue chip scrip with Rs 2 face value, however, lost Rs 57.04 per share till the afternoon session on the BSE to trade at Rs 954.90 from Thursday's closing price of Rs 1,011.95 and opening rate of Rs 1,001.